Much like other states across the country, Ohio’s public schools must enact policies that prohibit student harassment, intimidation and bullying (HIB). The law defines “harassment, intimidation and bullying” to be any intentional written, verbal, electronic or physical act that one student has taken against another student more than one time. The action must have resulted in either physical or mental harm. The bullying must also be sufficiently severe, persistent or pervasive. The law’s aim is to protect children and prevent an environment that is threatening, intimidating or abusive for the victim. State Senator Sandra Williams of Cleveland wants to take Ohio’s anti-bullying laws farther. She has introduced Senate Bills 196 and 197, which create an “aggravated bullying charge for juveniles.” She’s sending a clear message that bullying will not be tolerated by increasing the punishment for those that perpetuate bullying. The bill also creates a tiered disciplinary approach for dealing with bullying in school. Such a tiered approach is already fairly commonplace within district policies to assign various consequences for different offenses. State Representative Dave Greenspan of Westlake additionally introduced his own anti-bullying legislation into the House. House Bill 360 aims to create a mandatory suspension for a student’s first bullying offense. Such a move will likely receive push-back as many bullying prevention policies do not place such a punitive consequence on first offenses. Many argue that a zero-tolerance policy is not enough and such punishment leads to a vicious spiral instead of truly creating a more positive environment. For this reason many schools take the approach of remaining compliant with legislation but not letting legislation drive their bullying prevention plans. The district administration must create a written summary of all reported incidents at least twice a year. This written summary must be published on the district’s website (if the district has one) so that members of the community can review the district’s summary of reported incidents. Keep in mind that this summary shall protect student privacy and not disclose information which would violate anyone’s privacy under the Family Educational Rights and Privacy Act of 1974 also known as FERPA. What’s the purpose of publishing a summary of reported incidents? Members of the community can view these reports and learn about trends going on within schools. If parents read that cyberbullying has seen a significant uptick since the last report they can work to protect their children against cyberbullying. Parents need this critical information in order to protect their students and work side-by-side with schools to keep them safe. If parents and community members are unaware of what is going on within the school environment they will be less effective in lending a hand. Not only does documentation insure that all incidents are addressed properly, but it also creates an important paper-trail should a legal incident arise. 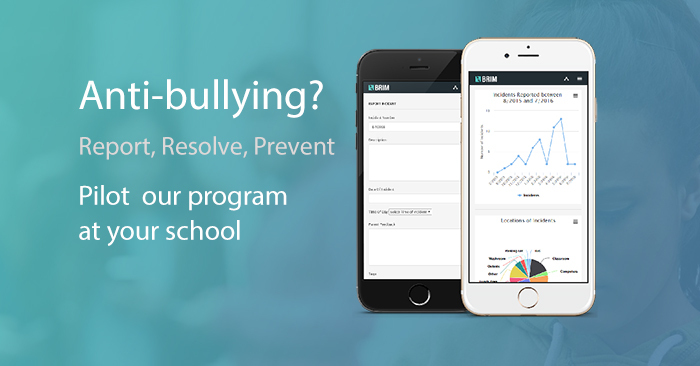 Clear procedures help staff members properly address and investigate incidents of bullying and other prohibited behaviors. Ohio anti-bullying legislation also requires a process for responding to and investigating any reported incident. Programs like BRIM have built-in resolution workflows so that staff can easily conduct an investigation and document their follow-up referrals and interventions. Documentation is critical to keeping a log of all actions taken to investigate an incident. A structured framework for investigation and intervention helps staff stay compliant with legislation and enforces a common standard. 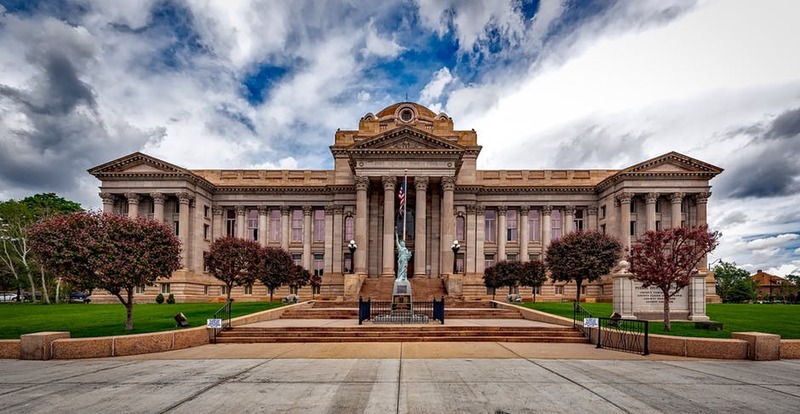 Much like David’s Law in Texas, Ohio’s legislation requires that a custodial parent or guardian of any student involved in a prohibited incident be notified. Ohio’s legislation does not seem to define a specific timeline of when parents should be notified. In this way it is not as prescriptive as David’s law which sets a timeline for notifications to be sent. It’s important that parents are notified in a timely manner so that they can be involved in the process as early as possible. There is also a requirement for school personnel to report suspected incidents to the school principal or other administrator as designated by the school principal. We encourage schools to make this process for internal reporting as simple as possible. Although a verbal communication may seem easiest it isn’t our first choice. Conversations are not documented and easily forgotten. Instead we recommend an electronic method for staff to report incidents. That way all incidents are tracked and the correct school administrator is automatically notified of the incident. When staff do not have an easy mechanism of reporting they are in a difficult position. They wish to remain compliant by reporting all incidents but face the burden of a time-consuming process. School administrators can empower their personnel by creating a simple reporting process that protects themselves and their staff. 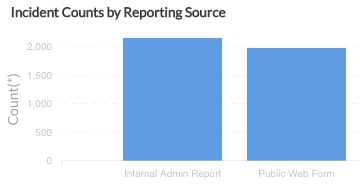 In our years of partnership with hundreds of schools, the number of reports coming from staff members has historically exceeded the number of reports coming from students and parents. When staff observe behavior violations of school policy they can easily report such incidents themselves through the BRIM reporting form. Staff have a responsibility to report incidents of bullying they observe. Staff play a critical role in reporting and fostering a positive environment for their school community.